I recently received an email asking why Tarot-Explained doesn’t have any definitions for reverse meanings; that is to say, cards that are upside down when dealt. There are a few meanings for this, and this isn’t a technique I practice when I read tarot. 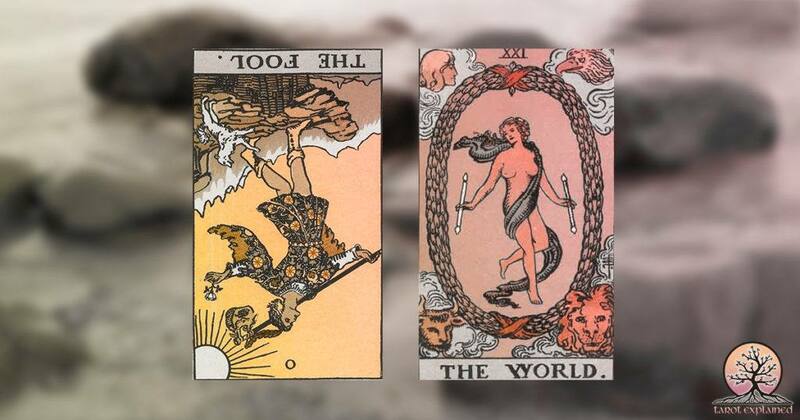 Firstly, Tarot cards have been given specific meanings, there are already cards that can mean opposites. If you were meant to get a negative meaning but you drew a positive card upside down, surely you should have drawn a negative card in the first place? Secondly, Tarot cards and playing cards have a lot of similarities. We never read playing cards upside down, as there is no upside down for them. Some Tarot decks also do not have an illustration, and therefore cannot have a reverse meaning. Finally, I shuffle my cards in a very thoughtless way. I don’t want to introduce thought into shuffling cards, I want it to be a random approach. Introducing any sort of consciousness into the process just doesn’t feel right, for me! That isn’t to say there is no merit to reverse meanings. As a general rule, any card meanings can be read as the opposite when the card is drawn reverse. If it feels right to you, then read your cards with reverse meanings!